The classic skulls combine quality and value. 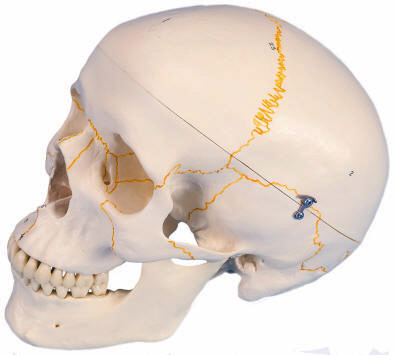 All important anatomical structures are shown. Designed with exceptional detail at an affordable price. 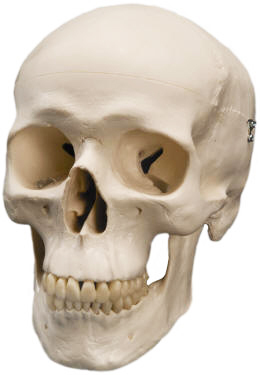 These life-size 3-Part skulls are a first choice for basic anatomical studies or an attractive medical present. This three-part classic skull is identical to the one listed above, but has been numbered to identify important features listed on the key card. 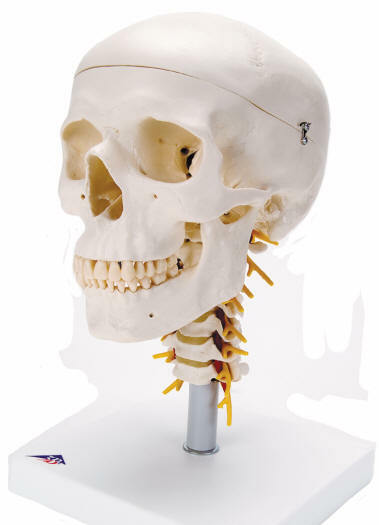 This 4-part skull is flexibly mounted on a stand with a cervical spine. Also represented are the hindbrain spinal cord, cervical nerves, vertebral arteries, basilar artery and rear cerebral arteries.